If you are considering a security system purchase or you have already taken the first step by ordering a custom security system for your home or business, you may be wondering whether you should install the product yourself or hire professional security installation companies in West Palm Beach. Protect your Warranty: If the security system you orders includes a warranty, you could void it by installing it yourself. Some products may not cover damage after a personal installation. To ensure that you get all the benefits of a product warranty, look for affordable West Palm Beach Security Installation Companies. Self-installation can cancel a Warranty to protect the product company from user error damage. Install Skill: If you ordered a complete security system or even a security system with cameras, understanding the best angle and place to install your new system can be tricky and time consuming. If you opt to hire a professional installation company, a technician with skill and background installing security systems will come to your home or business and install the product for you. Technical Support: After the installation of your product, you may have problems with or questions about your new security product. When you hire West Palm Beach Security System Installation Companies, like TechPro Security Products, you also have access to technical support. Whether you are having difficulty accessing your video feeds from a distance or you camera doesn’t seem to be working, our technicians are here to help you when you need it. If your equipment needs repaired or adjusted, our technicians are available 24-hours a day to come out and help fix your problem quickly so that your security is always working when you need it to. Guarantee that the product works properly: If you’ve ever tried hooking up your own cable or internet service, you know that sometimes it’s hard to tell if you’ve hooked up something wrong or there is a problem with the equipment. 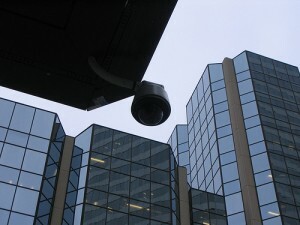 When you hire security system installation companies West Palm Beach, the installation techs do the hard work for you. Because they’ve installed security cameras before they can install the cameras correctly the first time and they can tell you if there is a problem with the actual product. Software issues: If you need to install a security system that allows you to monitor the feed from a separate location, you’ll need the right software on your computer or mobile device. Our technicians can help ensure that the software is installed properly and connected to the product. If you have any questions about how to run the program, our technicians can help you learn how to use your new system. Handle problems immediately: Security cameras can be tricky to install. In addition to the actual installation, you want to make sure you have camera angles right and you want to install your camera away from things that could interfere with the camera. Professional technicians understand all of the intricate details that can help your product perform better. Our technicians have experience will installing all types of security systems so they can avoid common mistakes when installing a new security system. If you do the install yourself, you may have to wait a few hours before a technician can fix any problems that arise. With technicians onsite to do the install, any issues or complications with the installation can be handled right away. Save time: If you don’t have time to spend hours learning to install your security system, a professional installation tech can be a huge help. Affordable security system installation companies in West Palm Beach, Florida provide highly skilled technicians that can have your security system up and running within a few hours. Schedule a time that works for you and we’ll send someone over to do the hard work for you. You may need a permit: Depending on the type of security system you order, you could install the product on your own but you may not be able to legally activate it yourself. Additionally, if you do choose to install the system yourself you may be required to have an alarm permit from your local municipality. You do not have to have a license to install your alarm system. All of the technicians at TechPro are licensed to install alarm systems. When in doubt, hiring affordable security system installation companies West Palm Beach will ensure that your systems are up and running according all local statutes. 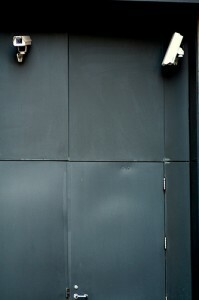 When you are trying to save a little money it may seem like a good idea to install your own security system. However, you could actually lose more time and money if you attempt to do the install yourself without knowing how to do it properly. We want your property to be safe and secure from the moment your security system is in place. When you are researching security system installation companies in West Palm Beach, Florida, keep TechPro in mind for your next installation. Our licensed, professional technicians can get make sure your security system is ready to work for you quickly. For more information on how we can make your security system installation pain free, contact us at 561-288-5258 for a free quote.